Panorama Nova has been used worldwide for generations. 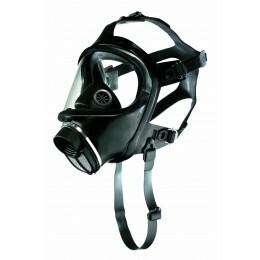 A truly versatile full face mask, which can be used in conjunction with almost all breathing and head protection systems. High wearing and breathing comfort combined with safety and reliability in use explain the success of this full face mask. Whether used with respiratory filters, compressed air or closed circuit breathing apparatus, or even a power assisted filtering device, optimum protection will be achieved. The Panorama Nova can also be used in combination with various helmets, communication systems or chemical protection suits.